Buy-to-let landlords: can you get the lowest mortgage rates? If you’re looking to expand or refinance your buy-to-let portfolio this year, you might be enticed by the promise of introductory rates well below 2% – but how likely are you to secure one of these deals? Fixed-rate mortgages are attractively priced right now, but lenders are imposing strict rules on who can apply for the best offers, with portfolio landlords and higher-rate taxpayers in danger of missing out. Here, you can get to grips with the best-priced deals for landlords and learn about the factors that affect your mortgage rate. You can get impartial, expert guidance on your mortgage options by calling Which? Mortgage Advisers on 0800 197 8461. The start of the year can be a confusing time in the mortgage market as lenders chop and change their offers, and that’s certainly the case in the buy-to-let sector. This week alone, there have been a swathe of product launches, withdrawals, extensions and changes to fee structures, but the good news is that some lenders are lowering rates. Digital lender Molo, which launched its first products for investors last November, cut the introductory rate on its five-year fix by 0.31% earlier this week – bringing it down to 2.57%. And several other lenders have followed suit in the last few days, including Axis Bank (cuts of up to 0.25% on fixes), Loughborough (cuts of 0.2% on discounted variable products) and Principality (cuts of up to 0.1% on fixes). Yes and no. According to Moneyfacts, fixed-rate products were priced at an average of 3.3% in January, the highest level seen since June 2017. That’s not necessarily cause for concern, however, as this figure is just 0.18% more than last year’s low of 3.12%. And in that time, the Bank of England base rate increased by 0.25%, a factor that tends to push up mortgage costs. Are landlords fixing for longer? There are also signs that landlords are still mainly looking for five-year fixes, which remain attractively priced. A report from Mortgages for Business earlier this week showed that a remarkable 84% of landlords opted for these products in the final quarter of 2018. At the same time, variable rate deals have almost entirely fallen out of favour, with 97% of landlords choosing a fix instead. It’s one thing to look at average prices, but where can landlords find the lowest mortgage rates? The chart below shows the cheapest introductory rates currently on the market, with two-year fixed-rate deals at 60% loan-to-value (LTV) on offer for as little as 1.49%. A word of caution, however. While initial rates are important, you should always factor in the overall cost of deals rather than their rates alone. Some of the ‘cheapest’ mortgages come with high upfront fees, driving up the overall cost. Can you access the cheapest rates? The tables above show the cheapest initial rates on the market, but the truth is that not everybody is likely to qualify for these deals. Indeed, the rate you’ll be offered will be heavily influenced by the status of your portfolio, with particular focus on how many properties you already own and how heavily mortgaged they are. The number of properties you own has a significant effect on the deals that available to you, with portfolio landlords (those who own four or more properties) locked out of some the lowest-cost products. For example, the chart-topping Sainsbury’s mortgage mentioned above (two-year fix at 60% LTV) is only available to landlords with a maximum of three properties. In addition, the lender only allows applications from investors who have a maximum total borrowing exposure of £2m. This means landlords with bigger portfolios may need to look to specialist lenders such as The Mortgage Works, which offers loans for portfolios of up to 10 properties. Interest cover ratios (ICRs) play a key role in whether lenders will accept your application. It works like this: the ICR shows the minimum rental income your property must bring in when set against your mortgage payments. For example, the Sainsbury’s deal above comes with an ICR of 125% for remortgagers or borrowers who are basic-rate taxpayers. Higher-rate taxpayers already seeing their profits eroded by changes to mortgage interest tax relief, meanwhile, face a higher rate of 145%. ICRs vary significantly from lender-to-lender and deal-to-deal, so it can help to get advice from a mortgage broker on which lenders are most likely to accept your application. How many landlords have mortgages? 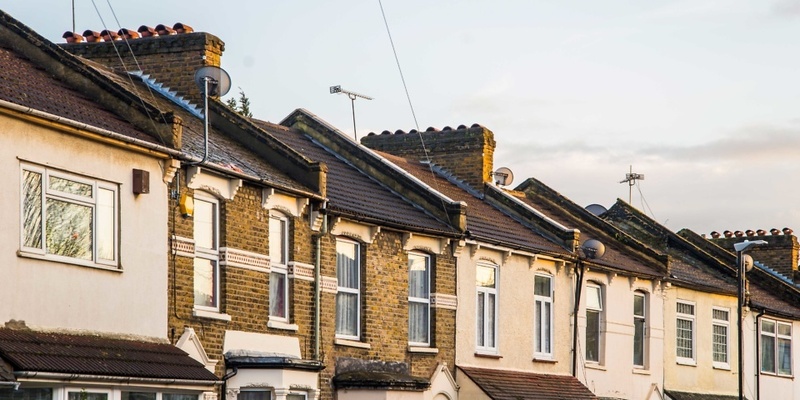 Earlier this week, the government released the English Private Landlord Survey, which asked nearly 8,000 landlords in England about their experiences in the buy-to-let sector. The report found that more than half of landlords (55%) have at least one mortgage on a buy-to-let property. There were also indications that those with mortgages were suffering the most from the introduction of new buy-to-let regulations. Indeed, the survey found that mortgaged landlords were far more likely (70%) to consider reducing their portfolios due to legislative changes than unmortgaged landlords (34%). If you’re considering expanding your portfolio or simply refinancing your current mortgage, it can help to get advice from a whole-of-market mortgage broker. Should you use a letting agent?